Colorado’s Rocky Mountains know how to put on a show, and there is no single spectacle more fawned over by nature lovers than the display of autumn colors happening right now. It happens quickly: after days of idyllic warmth and sunshine, a single night of chilly weather and by sunrise — as if someone snapped their fingers — a majority of the aspens have started to shift from green to gold. Three of the best places to witness this spectacle are Steamboat Springs, Vail and of course, the appropriately named town of Aspen. Since we know these communities so well, we thought we’d give you a quick preview of autumn travel highlights in each one. Pack your bags: it’s time to see some fall color. With its mixed woodlands and the massive cottonwood trees lining the Yampa River through town, Steamboat Springs is surrounded by fall color. But to encounter an overwhelming scene of golden beauty, head north of town 20 minutes to Buffalo Pass Road. Weaving its way through the forest, the road reveals one spectacular vista after another on its way to 10,300 feet. Evening light is best. Take the gondola from the base of the ski area to the top of Mount Werner on weekends through the fall. From the top, you can enjoy the 180-degree view of the Yampa River Valley’s mosaic of fall color. Tucked away in the woods and straddling the line between rustic and luxurious, the Strawberry Park Hot Springs are at their best — in our opinion — during the fall. A crisp chill in the air and the scents of a changing forest makes these natural pools all the more cozy. Where to Stay: One Steamboat Place Located Slopeside, you don’t have to travel far to take in the fall colors. The 3.9-mile trek to Booth Falls starts with a long, challenging, but doable climb through a thick stand of changing aspen trees. Eventually, you reach the upper valley where views extend back toward Vail Mountain over seemingly endless hues of green, gold and red. While the 60-foot falls have a lower volume of water in the fall, they are no less spectacular thanks to the colorful, autumnal surroundings. If you are staying at The Sebastian Vail, ask the concierge to help coordinate a bike rental and shuttle on Vail Pass. Starting at the 10,662-foot summit, a paved bike path descends 1,800 feet over 8.7 miles through scenic terrain back into town. Golf in the Vail Valley is at its best in the fall, when the cooler temperatures and uncrowded fairways make playing a round of 18 holes ideal. Popular courses include Frost Creek Golf Club, the Sonnenalp Club and Red Sky Ranch. Recently ranked the No. 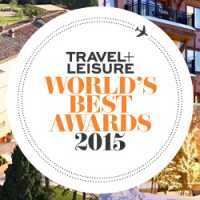 9 Resort Hotel in the West by the readers of Travel + Leisure Magazine, The Sebastian Vail is the perfect basecamp for all of your fall excursions in Vail. Maroon Lake is undeniably the most popular spot in Colorado for fall color (and rightly so), but we love to take an early morning cruise up Castle Creek Road to the ghost town of Ashcroft. On either side of the valley from this abandoned but well-preserved silver mining town lie massive stands of aspen trees. Nearby is the Pine Creek Cookhouse, and the trail to Cathedral Lake. Seeing Maroon Lake and the majestic twin peaks of the Maroon Bells in the distance — surrounded by tens of thousands of vibrant aspen trees in full autumn glory — is a sight everyone should see at least once. Learn more about the shuttle and parking policies in advance, as it does get crowded. Two of Colorado’s best rivers for fly fishing are at their best in late September and early October, and it is not just because of the vivid display of cottonwood trees lining the banks. Sense the oncoming winter, rainbow and brown trout are in a hungry mood. And all anglers benefit for it. (Note: A fishing license from the State of Colorado is required). Situated just a couple of blocks away from downtown Aspen’s shopping, and a few blocks away from the Silver Queen Gondola, Dancing Bear Aspen’s location couldn’t be any better. Learn more about fractional Ownership opportunities and schedule an appointment. 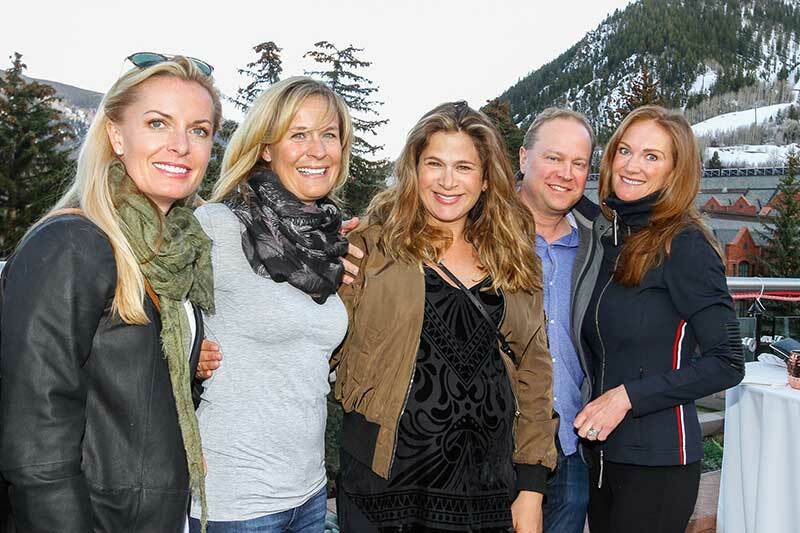 For the fifth year in a row, Dancing Bear Aspen hosted a private, rooftop party for Owners and guests as a toast to the Aspen FOOD & WINE Classic with a Spanish-themed soiree, a "Fiesta del Vino." The weather was sublime and the music from DJ Cyn was spot-on, as Owners and guests mingled over an exceptional array of wine, beer and spirits. Celebrity chef Richard Blais of Top Chef fame was on hand to sign his new cookbook, So Good: 100 Recipes from My Kitchen to Yours, and cheese expert Laura Werlin served a selection of fromage from around the world. And what's a toast to the FOOD & WINE Classic without amazing hors d'oeuvres? Crystal River Meats and Caribou Club served a delectable selection of Spanish-inspired tapas including cucumber ceviche, beet-and-goat-cheese spoons, sope al pastor, chorizo sofrito and lobster corn dogs. Be sure to check out the photo gallery on the Dancing Bear Aspen Facebook Page. It was truly an evening to remember and a wonderful way to kick-off the weekend's festivities. Every year, the Aspen Food & Wine Classic assembles an unrivaled roster of culinary talent. Fortunately, Dancing Bear Aspen affords Owners a front-row seat to this magnificent foodie festival. First of all, the obvious reason: the Grand Tastings take place across the street in Wagner Park. But secondly, Owners are invited to an exclusive annual rooftop soiree to kickoff the festival, and this year’s party will truly be unforgettable. Here’s a special guide to the 2017 Aspen Food & Wine Classic as seen through the eyes of our Owners. Our private party for Owners might just be the highlight of the weekend. None other than Richard Blais — the edgy and boundlessly creative chef and restauranteur best known for winning Top Chef (and then becoming one of its judges) — will be on hand as our guest of honor. He will be signing his new cookbook So Good: 100 Recipes from My Kitchen to Yours. In addition to Richard Blais, the exclusive event for Owners will feature Spanish-themed tapas from Crystal River Meats and Caribou Club, as well as sublime little treats from Delysia Chocolatier. World-renowned cheese expert Laura Werlin will be on hand, and Owners will be able to sample wines, beer and spirits from a curated roster of vintners, brewers and distillers. The party will be held on The Rooftop Terrace of the Dancing Bear Aspen on Thursday, June 15 at 6pm, and the guest-list is exclusive to Owners and their guests. Dancing Bear Aspen’s location is often praised in terms of its proximity to the Silver Queen Gondola (which is lovely in the summer), but when it comes to the Food & Wine Classic, it is all about our front door’s proximity to the Grand Tasting tent. This wonderland of culinary invention and refined taste is open for lunch and dinner intervals during the event, offering attendees an exquisite roster of cuisine, fine wine, craft beer and spirits. The acclaimed TV series has long been a fixture of the Aspen Food & Wine Classic. After all, the grand prize for winning chefs of the reality-based competition has been a culinary showcase at the event. But this year, Top Chef — which is currently filming season 15 in Denver — will be bringing the contestants to Aspen for a showdown, which will serve as one of the upcoming season’s episodes. Meanwhile, Brooke Williamson — last year’s winner — will be showcasing her talent on Friday as well. The Food & Wine Classic will be taking over Aspen on June 16–18. Passes are currently sold out, but future events promise to be just as compelling. Want to know more? Schedule a tour of Dancing Bear Aspen. Learn more about ownership opportunities at Aspen’s top luxury residence club. Summer is Colorado’s best-kept secret, with adventures that go well beyond hiking and biking. With over 2,000 lakes and reservoirs, Colorado is the supreme playground for stand-up paddle boarding, also known as SUP. The season begins mid-May and runs through September. At Colorado-based Timbers Resorts, Kaylie Finnis is the resident expert on stand-up paddle boarding. She took a break from her duties on the marketing team to give us insider tips on SUP adventures in Colorado. Ahh…picture yourself surrounded by nature, instead of walls, as you flow through a vinyasa, listening to the water lap alongside your board during savasana. That is the beauty of SUP yoga. Many of my first-time students haven’t tried yoga or SUP before and think it would be too challenging for them, but quickly learn that it’s not only possible, but it’s incredible! A session typically begins with 15-30 minutes of basic safety, balance and paddle techniques, followed by a blissful, floating yoga class. If you fall, you just land in the water, so you can try poses you may not have tried on land. Fletcher Pond and Lake Catamount are two of my favorite places to SUP in Steamboat Springs. Group and private SUP Yoga and SUP Lessons are available through various outfitters in and around Steamboat. SUP Rentals and beginner to advanced lessons are easy to find around Aspen/Snowmass and the Roaring Fork Valley. Stillwater, Twin Lakes and Ruedi Reservoir are three stunning mountainside options to tour on your board. Sunrise sessions of SUP Yoga and SUP Lessons are also available on Kodiak Ski Lake, 30 minutes outside of Aspen. For the more adventurous, you can take a guided tour down the Colorado River. During the first weekend of August, Lake Dillon holds the highest altitude SUP races just 50 minutes from Vail. While the SUP Sprint and SUP Cross may lean towards the extreme side of the sport, being a spectator during the annual GoPro Mountain Games will be blast for you and your family and friends. For the SUP Sprint, paddlers race down Gore Creek through class 2 & 3 whitewater to the finish line in the heart of Vail Village. This is followed by SUP Cross, where 5 athletes compete through a whitewater obstacle course. Next year’s events are June 9-12, 2016. In addition to these race events, there are several beautiful flat-water options in the Vail-Eagle area as well as many outfitters who offer SUP Yoga as well as private and group SUP lessons. Peter Hall is the inflatable SUP designer and owner of Hala Gear, which is based in Steamboat Springs. Charlie Macarthur, a resident of Aspen, co-designed/tested the first whitewater SUP for C4 Waterman. Shaboomee, a SUP design/rental company that is all about family fun, is located near Aspen/Snowmass. They just unveiled their new patent-pending SUP Yoga platform, called the SUP Nelumbo, at the Steamboat Movement Festival in July. Colorado’s abundance of bluebird days are reflected in clear waterways surrounded by aspen and pine trees. With boards and lessons at your fingertips, where would you choose to stay and SUP with your family and friends? Kaylie Finnis is the Director of Database Marketing for Timbers Resorts, she is also a PSUPA Flatwater certified instructor as well as a certified yoga/SUP yoga instructor. Kaylie taught SUP Yoga at the Steamboat Movement Festival in July, races at the Dillon High-Altitude SUP Challenge, and has also competed in the GoPro Mountain Games Downriver SUP Sprint. In her free time, she shares her passion for stand-up paddle boarding with others through lessons, or sunrise/sunset SUP sessions with friends. If you are considering buying real estate in Aspen, you should know what sets Dancing Bear Aspen apart from traditional second home-ownership. Effortless Ownership We take care of everything before you arrive and after you depart. Services such as local transportation, valets for skis and bikes, and pre-arrival grocery shopping allow you to spend your time here doing what you love. Play in the game room, soak in the roof-top hot tubs, or enjoy a day in the mountain air. Location, Location, Location Nestled in the historic red-brick heart of downtown Aspen, you are only steps from world-class shopping and dining, to leafy trails and best of all to the Silver Queen Gondola and the bountiful powder of Colorado’s most renowned ski slopes. Luxury Loves Company Every spacious three-bedroom, three-and-a-half bath residence is on a corner, every room enjoys a view and only here do art, architecture, you, your family and friends so magically come together. Playground for All Ages Whether it be hiking, fishing, skiing or biking, this is a destination where everyone can act like a kid, and delight in every minute. Dancing Bear Aspen concierges can coordinate a number of activities for you and all the members of your family. Aspen Today, Tuscany Tomorrow When you choose to venture beyond Aspen, you can trade and travel throughout the collection of remarkable residence clubs in the Timbers Resorts From Tuscany to Napa, Kauaʻi to Cabo San Lucas, Scottsdale to Vail, and more, the choice is yours. With the second and final phase of Dancing Bear Aspen opening this winter, now is the time to make your dream of owning a mountain home a reality. Contact us today at 970.920.2510 or info@dancingbearaspen.com and discover for yourself the many reasons to become an Owner at Dancing Bear. Few people know Aspen better than Owners at Dancing Bear. With an appreciation for life well-lived and a grand sense of adventure, their time in Aspen often goes beyond the classic summer activities: symphonies at the Aspen Music Festival, kids splashing in the Mill Street Fountain, and Saturdays strolling the farmer’s market. Casa Tua – all Dancing Bear Owners are welcomed as members at this private social club and restaurant. Sit on the second floor patio for a perfect birds-eye view of vibrant downtown Aspen, with the brass band playing on Paradise corner, the horse and carriage strolling by and the golden evening glow lighting up Smuggler Mountain. Aspen Art Museum – the Shegiru Ban-designed building has received much attention since its opening in August 2014. See the building and exhibitions for yourself, making sure to spend some time at SO Café on the third floor, with fresh lunch dishes, espresso and wine, and exceptional views of Aspen Mountain. Aspen from the Air – paragliding from the top of Aspen Mountain is without a doubt the most exhilarating way to take in views of the valley. Most summer mornings and afternoons, you’ll see a dozen parachutes in the sky, gracefully circling and gently descending. A tandem flight requires no experience, just the desire to soar and the courage to take the first few steps. West Maroon Pass – in the height of summer wildflower season (mid-July to mid-August) there is no more stunning hike than the trail from Aspen to Crested Butte via West Maroon Pass. Starting at the breathtaking Maroon Bells, it’s 6.5 miles to the 12,500’ summit. 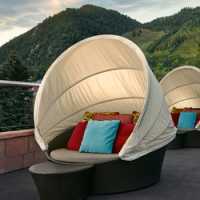 After taking in the 360-degree views, you can head back to Aspen or carry on 4 miles toward Crested Butte to spend the night and shuttle back a day or two later. The Lawn at Tempranillo – bike down valley to Basalt, where one of our favorite chefs, Javier Gonzales-Bringas, plays host at his exceptional Spanish restaurant. On the weekends, Javier makes giant pans of traditional paella and serves them at family-style tables on the front lawn. Linger over wine and conversation while the kids play on the swingset, and at the end of the night, let us shuttle you and the bikes home to Dancing Bear. Stargazing – prepare to be wowed by the number of stars you can see on a clear night in Aspen. From the rooftop of Dancing Bear, Owners can take in a starry night next to a warm fire, use a state-of-the art telescope, or even take a guided tour of the skies with a resident expert on one of our stargazing nights. As an Owner within the Timbers Collection, you have the opportunity to experience an effortless vacation at any of our member properties. Read what the Newlands Family has to say about their experience. "Our family had the pleasure of visiting Dancing Bear in Aspen the week of Christmas 2014. What an amazing property! From the perfectly appointed three bedroom flat, to the delicious rooftop breakfasts prepared each day by Luis (a favorite of our children), to the movie and game rooms, it offered both proximity to world class skiing and dining, but also a relaxing atmosphere post skiing. The work-out room, hot tubs on the roof or the steam shower in the master bath also provided ample opportunity to relax from a day away from skiing or after a long day on the slopes. A number of evenings offered wine or food tastings limited to the guests in residence, which assured a social evening without too big a crowd. The short walk to numerous superb restaurants made for a truly wonderful week. As this was our first 'trade a week' experience, we were not entirely sure what to expect. We certainly more than had our expectations met and look forward to trying The Rocks and Esperanza as our next away from home weeks." Read more about the exclusive benefits and amenities that Timbers Resorts Owners enjoy. To learn more about membership opportunities at Mayacama, please contact us at 800.941.4579 (toll free) or 970.510.6796 (direct) or via email at info@timbersresorts.com. 8:00am – Good morning! Take in views of snowcapped peaks as you step into your slippers and sip coffee in the kitchen, then head to the rooftop lounge for breakfast made-to-order. 8:30am – Gear up for family ski day. Allow the ski valet to whisk you and all your gear 2 blocks to the gondola at Aspen Mountain. Noon – Explore fresh corduroy, tree trails and bump runs under classic Colorado bluebird skies, then rendezvous at the Sundeck for lunch with a view. 3:30pm – After your last top-to-bottom on Ajax, Dancing Bear valets pick up your gear while you enjoy apres-ski on the sun-drenched patio at Ajax Tavern. Take a short stroll home to Dancing Bear. 6:00pm – Stop by the Owners’ reception for a paella cooking demonstration and tasting of Spanish wines led by one of Aspen’s favorite chefs. 7:00pm – The babysitter arrives and gets dinner on for the kids before they head downstairs for movie night in Dancing Bear’s private screening room. 8:00pm – Dinner out. If you opt for steamed mussels and pommes frites at Brexi Brasserie, you won’t even need to put on a coat. Or take a few steps into the heart of downtown and see what Aspen’s legendary restaurants are cooking up tonight. 10:00pm – Cozy up by the fire in your living room and plan tomorrow’s day of off-mountain adventures: tour the exhibits at the new Aspen Art Museum, drop in for a yoga class at O2, or let the concierge arrange an in-residence massage. And don’t worry – if you can’t do it all this time, you’ll back again soon to enjoy effortless ownership at Dancing Bear Aspen. There is a draw to it, as our Owners and guests know so well: the adventuresome lifestyle filled with travel, adventure, and new experiences. Whether it's coming to stay with us at one of Timbers Resorts' luxurious, immersive locations, or striking out for parts unknown, there is a thirst among our Owners that does not end at the threshold of their favorite brasserie or spa. It goes on, and discovery is its name. At Timbers Resorts, we begin each day with the presumption that something new and exciting awaits the seeking mind. And, for Timbers Collection Members, our partners help us make that kind of exploration possible. Let's look at some of the options in our world, ways that you and yours can get the most out of every journey. Butterfield & Robinson: Adventure and immersion is the recipe when it comes B&R's world-travel packages. Our Owners waive fees and accrue special amenities as they set forth on their own bespoke experience crafted specifically for Timbers Resorts. The Italian Concierge: Allow world renown trip-planner Joyce Falcone to curate your itinerary in Italy. This Timbers Collection Members program takes you to Tuscany and beyond. SeaDream Yacht Club: Step aboard waterborne luxury. SeaDream is a 56-stateroom getaway with Owner specials that include spa treatments and invitations to private parties — even exclusive dinners with the captain. Daytona International Speedway: Our Members enjoy high-profile races at Florida's famous auto track in VIP style, with pre-event driver meet-ups and rides in the pace car. Breeder's Cup: Sip and nibble paddock-side as the best horses and jockeys prepare for the world-class racing event of the year. Our Owners join the best of the best for all the action, plus cocktails and championship celebrations. The Atlanta Hawks: Take advantage of access to court-side seats, pregame warm-ups, and complimentary drinks and dinner. Augusta Golf Championship: Or, try competition of a slightly different stripe. One of the most prestigious golf tournaments on the planet invites Timbers Collection Members to not only watch all the daily action on the green, but also to enjoy private accommodations, local transportation, and private home-cooked meals. The choice of adventures is yours. As always, at Timbers Resorts, we're not only thrilled to host you but also to help you explore new ideas. Embark! For Timbers Resorts Owners, it's not so much about vacation; we prefer to think about our properties and the experiences surrounding them as a lifestyle. Whether it's the services and amenities we offer — from our spas and restaurants to our ski-in and ski-out lodges, to our concierges always on hand — you might consider lifestyle to be a frame of mind, here. It's a way of thinking about your activities and passions, the ones you pursue at home and away, as an extension of the very things you'd do all the time if you could. Growing your relationship with those things is key to our approach at Timbers Resorts. Let's look at a short list of some of the ways to do just that, bringing the leisurely lifestyle into your days and weeks, in our spaces and also those of our closely held partnerships. At Timbers Resorts, we know that variety and circumstance are important to the choices and accommodations that our Owners have come to love. When you're an Owner with us, you'll have access to a lifestyle accented by international flair, all geared toward providing you a truly leisurely state of mind. PlumpJack Group: Start with how you eat and drink. 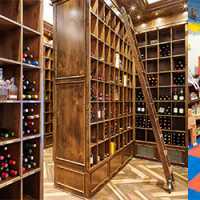 Our partnership with PlumpJack ensures that your experience at their wineries, wine shops, and inns are of five-star caliber, and flush with benefits that non-Owners won't receive. Rancho Valencia Resort & Spa: Leisure is about restoration — bringing the senses and mind into line with the body and wellness. At Rancho Valencia, our Owners receive preferred rates on treatments and retail at the spa. Hotel reservations and dining are at special rates as well. The Sebastian - Vail: Bringing your friends and colleagues together in the right place at the right time is part of the leisurely lifestyle. In addition to preferred rates on accommodations, dining, retail, and spa experiences at The Sebastian - Vail, our Owners receive special access to banquet and meeting-space pricing. Hotel Castello di Casole and Hotel Savoy: There is something about Italy. At Timbers Resorts we treasure a special relationship with the region. When it comes to leisure, our Owners will explore special rates on suites, food, wine, and services at Tuscany's Hotel Castello di Casole. In Florence, our Owners receive VIP welcomes at Hotel Savoy, free upgrades when available, and a daily continental breakfast. Trump International Ireland: There is no place quite like the southwest coast of Ireland. To experience its magnificent cliffs, its world-class greens, and its inimitable culture and community, plug in to preferred rates at Trump International, Timbers Resorts' partner on the Emerald Isle. Mandarin Oriental: And then, continue your pursuit of leisure around the world with the spas, dining, service, and style of Mandarin Oriental's unique, exquisite, and wide-ranging properties. Luxury: it's our Owners' passion. With the kinds of friends on our list, Timbers Resorts continues to make luxury a central part of every visit and trip.